Catch all the action of the 52nd annual Super Bowl with us at Della Hyde! NFL mad? Or don't want to miss out on the USA's most watched television broadcasts? We're converting our basement bar into a sports haven for the 52nd Super Bowl on Mon 5 Feb! Doors open at 9am with the game playing across multiple screens in our basement! Enjoy some mouth-watering American food from our special ‘Super Bowl Menu’ including spicy chicken wings, hot dogs, sliders & fries! + enjoy suds & sips specials all morning too with Young Henrys & Jameson specials! 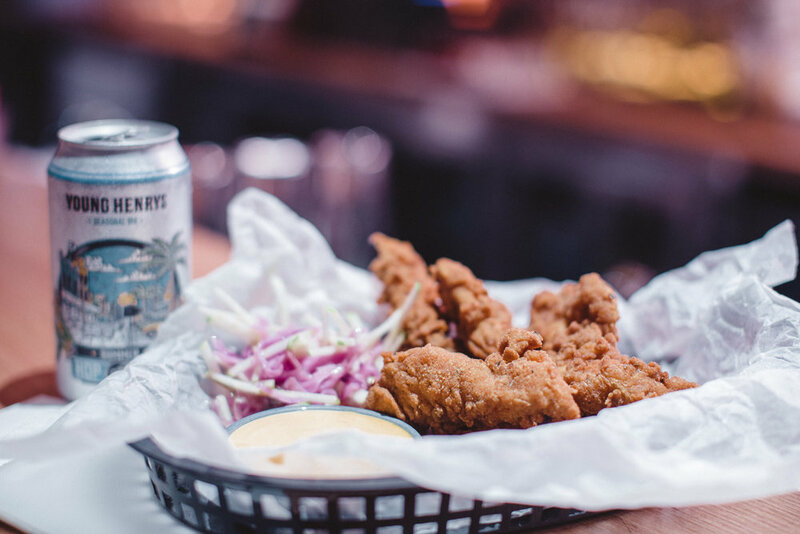 Football, chicken wings and beer – We can’t think of a better combination! What are you waiting for... chuck a sickie and book in to watch the action (and eat all the food) at Della! Doors open from 9am - Assemble your crew & book a table online today! Here are a couple of Super Bowl facts ahead of the game! - Estimates suggest that during the Super Bowl, we consume eight million pounds of guacamole with 14,500 tons of chips, and over 1.2 billion chicken wings.